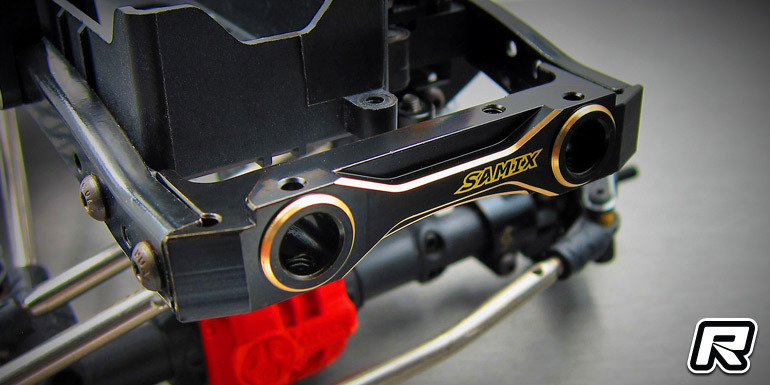 Samix have introduced a short brass front bumper mount for the Axial SCX10 II trail truck. 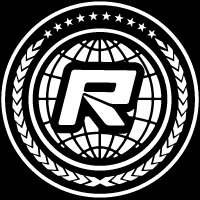 Machined from high-quality brass material and coming with a black surface coating for wear the part adds about 55g of weight as well as a lot of stability to the front end of the truck. 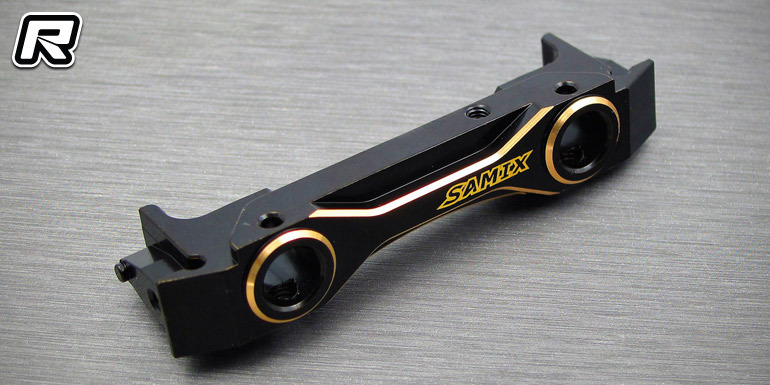 Machined gold-coloured edge details and an etched Samix logo round out the part.